A coach-load of us (thanks Steve for arranging) trundled our way around the M25 to the new visitor centre at the Battle of Britain Bunker. The bunker and the visitor centre complement each other very well in the same way that practice complements theory. 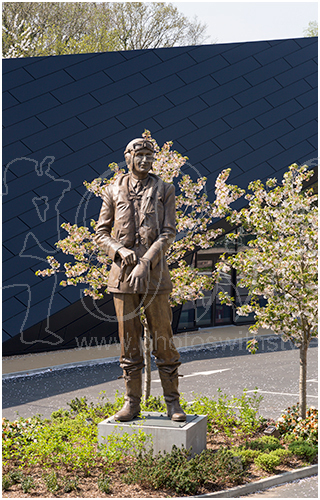 Outside, in the small and respectful grounds, Air Chief Marshal Sir Keith Park keeps watching the skies.